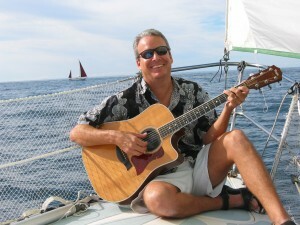 On his 13 albums, Mark sings about sunshine, sailboats, and sandy beaches in San Carlos Mexico. 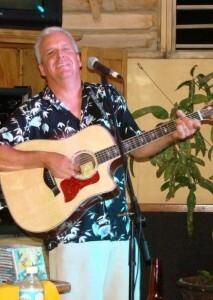 Enjoy trop rock, beach-front fun at La Palapa Griega where Mark sings weekly and for special events October through May (like Mother’s Day in May, New Year’s Eve, etc). Annual Welcome Back Party: on Wednesday, October 17, 2018, Mark Mulligan would like to welcome you back to San Carlos at 5:00pm at La Palapa Griega. Mark will be joined by special guest Susan King on steel pans. Feast on La Palapa Griega’s famous rib special and cold cervezas. Don’t miss the party! 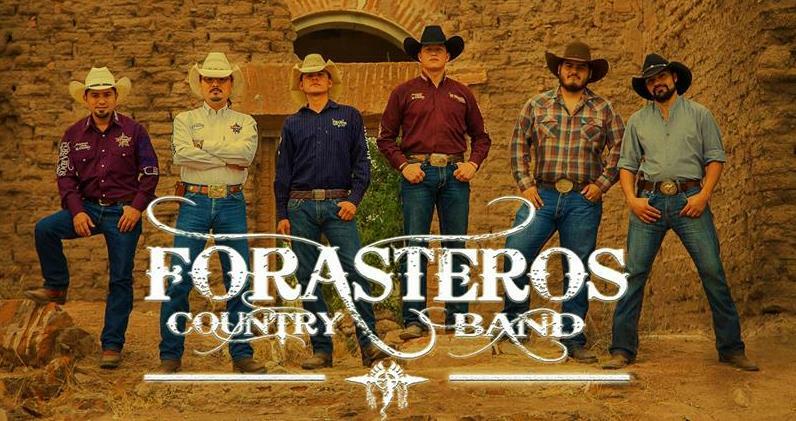 Six and a Half Mexican’s Country Music Show: “Six and a Half Mexicans” (Mark Mulligan and the amazing Forasteros Country Band) are coming back to San Carlos! 6:00pm, Saturday, November 17, 2018 on the beach at La Palapa Griega. Tickets will be for sale at Seaside Realty for only 200 pesos. So dust off those boots and get ready to dance not only to full band versions of Mark’s songs, but also George Strait, Jimmy Buffet, Johnny Cash, and more. 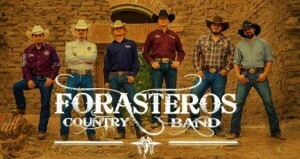 Mark will be backed by the amazing Forasteros Country Band, who will also throw in some FUN songs (just wait til you hear “The Devil Went Down to Georgia” in Spanish!). January 8, 2019. 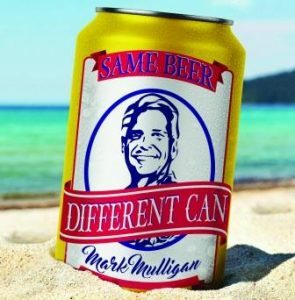 Mark Mulligan. 6:00pm, San Carlos Community Church. Come join Mark and his family at San Carlos Community Church as he debuts brand new songs off his upcoming “Rising Son” album. That night, all door donations and album sales will go to charity. The show starts at 6:00pm. All are welcome, regardless of denomination. Saturday, January 26. Visiting artist Mike Nash joins Mark at La Palapa Griega. Saturday, February 23. Visiting artist Kelly McGuire joins Mark Mulligan at La Palapa Griega. Saturday, March 30. Visiting artist Thom Shepherd joins Mark Mulligan at La Palapa Griega. Mark Mulligan Inspirational Music: Yearly, Mark Mulligan does a Benefit Concert at the San Carlos Community Church (map). It will be a night of inspirational music with everything from Amazing Grace to George Strait. Everyone is invited. Admission is by donation. Proceeds will be divided between the Church’s Mission Fund and other charities. Get there early for a good seat. Come enjoy an inspirational evening with music by Mark Mulligan! Valentine’s Day. On Tuesday, February 14, celebrate Valentine’s Day at La Palapa Griega when Efrain Giaccoman of “The Twins” joins Mark Mulligan for this very special Valentines Day show. And you’ll love the special menu too! Mark your calendars and stay tuned for info. The show starts at 5pm. Needing your San Carlos fix? Mark’s summer “North of the Border Tour” continues, with guest artists like San Carlos’ own Lorena Robles, Florida’s Sunny Jim, Southern California’s Rob Mehl, Texas singer-songwriter Kelly McGuire, and Arizona favorite David Sheehy. 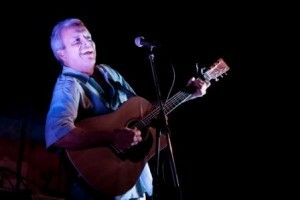 Get details about these shows, plus fall shows in San Carlos, Alamos, Rocky Point, and more, at markmulligan.net. Back To Laid Back Nominated for TWO TRMA Awards! “Too Much Wishing, Not Enough Fishing” and more! Somewhere South of Somewhere: Best of the Early Years: 20 songs from Mark’s “Son of the Sunshine”, “Going Coastal”, “The Things I Love”, and “Mexico” CDs! 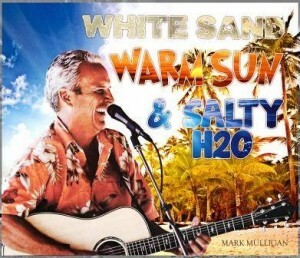 Congratulations to local musician, Mark Mulligan, who was nominated for two 2013 Trop Rock Music Association Awards. His album, “Back To Laid Back” was up for Album of the Year, and “Too Much Wishing, Not Enough Fishing” was nominated for Song of the Year. Listen to “Too Much Wishing, Not Enough Fishing” here. Can’t wait to see Mark again? Watch videos of him performing at Sonoran Sky and with the Parrot Mafia. 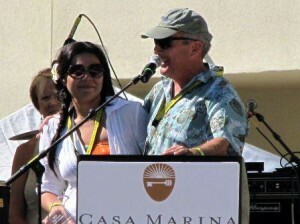 In 2012, the Trop Rock Music Association awarded its prestigious “I Can” award to Mark Mulligan, founder and past president of Castaway Kids. This award is given each year at the Association’s annual awards show to the trop rock musician who gives the most back to his or her community. For those of us who know Mark, we know that Castaway Kids is just a small part of what he does for our community. If Mark hears of a family struggling because of a medical or other emergency, he always seems to be able to find some money to help them, whether from that night’s CD sales proceeds, or by using his microphone to tell the story and open the pockets of some of the members of his audience. Congratulations Mark!! Thank you for all you’ve done and continue to do for your community and good luck on your new projects. For more information on Mark Mulligan, visit his website.